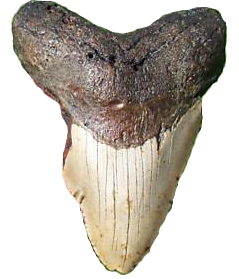 Why Are These Fossil Shark Teeth So Important? - The flood in the days of Noah buried millions of land and sea animals, turning them into fossils. 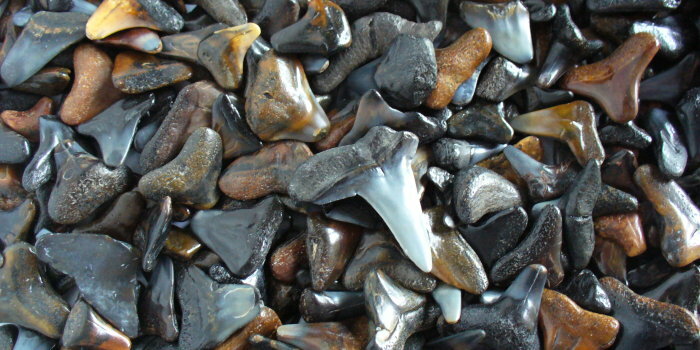 - Years later these shark teeth would have been buried before the ice age changed the sea level. Fossils remind us God's Word is true. In the beginning God made a perfect world for man to live in, but our sin brought death and suffering into the world. In the days of Noah, the sin of man was so great that God judged the world by sending a global flood to destroy both man and beast. Those who believed came onto the ark and were saved, while the rest were rapidly buried by mud and some turned into fossils. The Bible speaks of a future judgment for sin where Jesus Christ will be the only Savior. Will you be saved? Romans 2:5 - But because of your hard and impenitent heart you are storing up wrath for yourself on the day of wrath when God’s righteous judgment will be revealed. Romans 5:9 - Since, therefore, we have now been justified by His blood [ Jesus Christ ], much more shall we be saved by Him from the wrath of God.